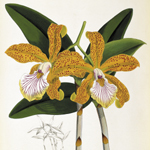 Drawn from the archives of The Royal Horticultural Society, chosen for their historical importance, scientific accuracy and aesthetic value, the best of the Lindley Library's many thousands of orchid images ensure that Orchids, is the ultimate pictorial history of the most glamorous flower of all. 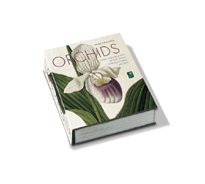 The book explores the history of the orchid through the centuries. 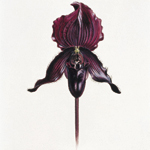 The story of the orchid fever - from the discovery of orchid species in their natural habitat to their introduction and early cultivation in some of the most fashionable greenhouses of the 19th century. The story of orchid propagation over the past 150 years, showcasing the prize winning hybrids awarded by the Royal Horticultural Society since 1865. The book concludes with comprehensive biographies of artists, adventurers, botanists and orchid cultivators.